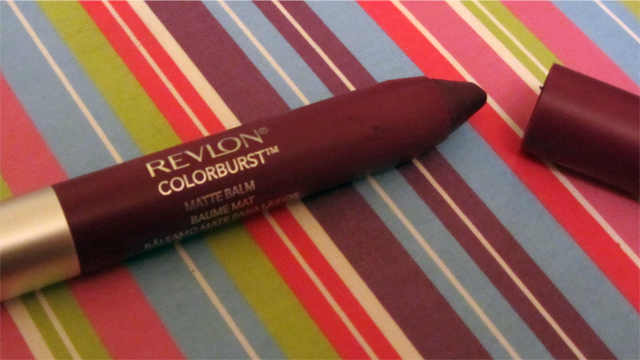 I actually wanted a Revlon Colorburst Matte Balm in orange but it came up too peach on me. I was so impressed by the texture and pigmentation that I refused to leave the shop without finding a Matte Balm that I could wear, which was not pink! 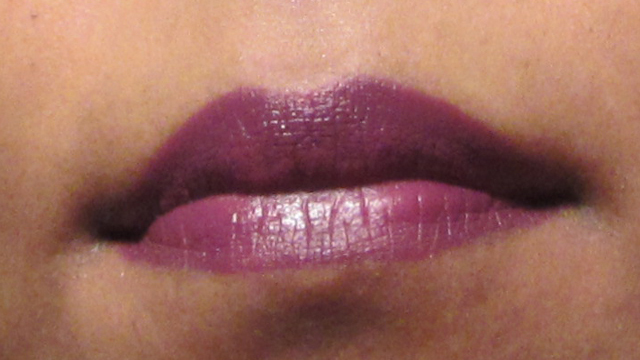 I really need purple lip colours so I chose Shameless. I really love this purple. It’s almost the same shade as a pair of glasses that I have. I would call a true purple – equal proportions of red and blue so that you wouldn’t know it was made from those two colours. This is the first time I have used a lip crayon and I’m hooked. This crayon glides on and effortlessly deposits a highly pigmented colour in one swipe. The crayon shape makes it easy to follow the contours of the lips so even though this is a dark shade, there is no need for lip liner. It’s a doddle to apply! Once on the lips it doesn’t feel like a matte colour. There is absolutely no hint of drying at all. In fact, I found it soothing and comfortable – that would be the balm! I didn’t used to be a matte lip person because of the drying aspect but now I’m really happy that I can wear matte lips which as they feel moisturised! It lasts for a good amount of time on the lips – I managed couple of hours without needing to touch up but I put some on anyway! There is one slightly bizarre attribute which might put some people off- it has a mint scent! Normally I don’t like scented products on my face but I managed to get used to this quite quickly. So, yes there is a burst of colour, yes this is matte and yes it feels like a balm. I’ve already picked out my next two Revlon Colorburst Matte Balms – Unapologetic which is hot pink and Elusive which is a soft, medium pink!